Cost effective, durable and versatile. Made in our Australian mills from sustainable plantation pine. Treated to H3, it is suitable for outdoor above ground applications. Smooth finish, ready for staining, painting or oiling. Treated with Tanalith E, suitable for use in applications coming into direct human contact. 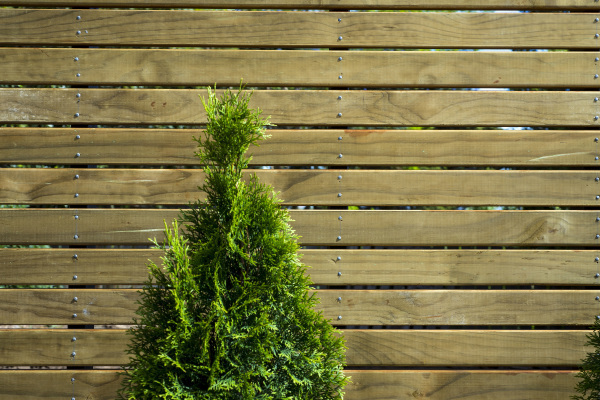 Timberlink Green bearers and joists are recommended to provide a durable stable platform for your deck. 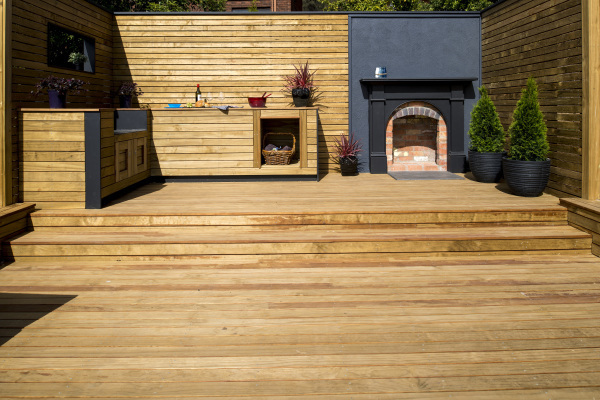 We recommend leaving a 5mm gap between each decking board if you are laying dry decking but no gap between boards if you are laying wet decking. Note WET decking is sold wet which means it hasn’t been redried after treatment whereas DRY decking has been redried. Note; Sizes and lengths may vary at sites. Corrosion resistant galvanised decking nails or decking screws should be used. Stainless steel fixings should be used in harsh environments. It is strongly recommended that deckings be painted, stained or sealed to maintain optimum serviceability, appearance and dimensional stability. Where treated wood products are cut, notched, drilled or rebated, the exposed areas must be coated with a suitable resealing product. When handling and cutting any timbers, it is advisable to wear dust mask, goggles and gloves.